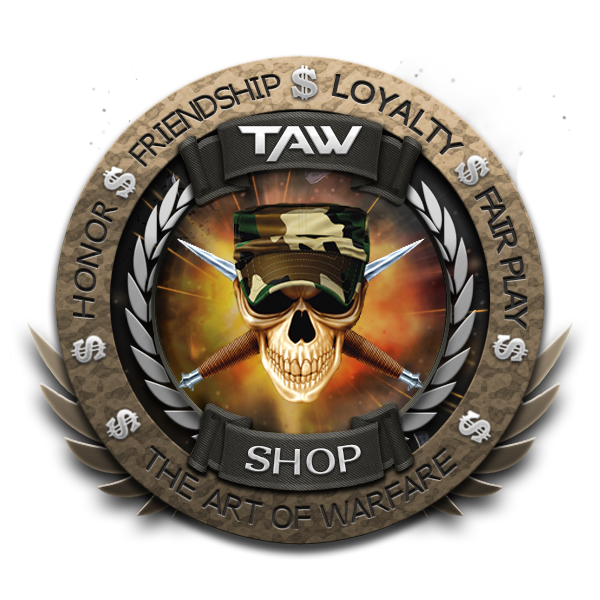 We in Vanguard in cooperation with our PlayerUnknown's Battlegrounds Division and their SUL SorrowSeven are happy pronounce that TAW has been granted access to run its own customer server matches. 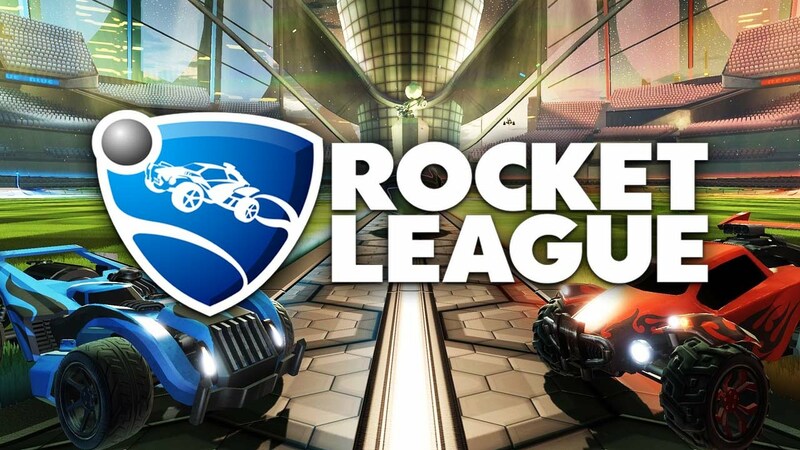 We are currently working with their E sports team on events and we hope to be able to provide lots of content! 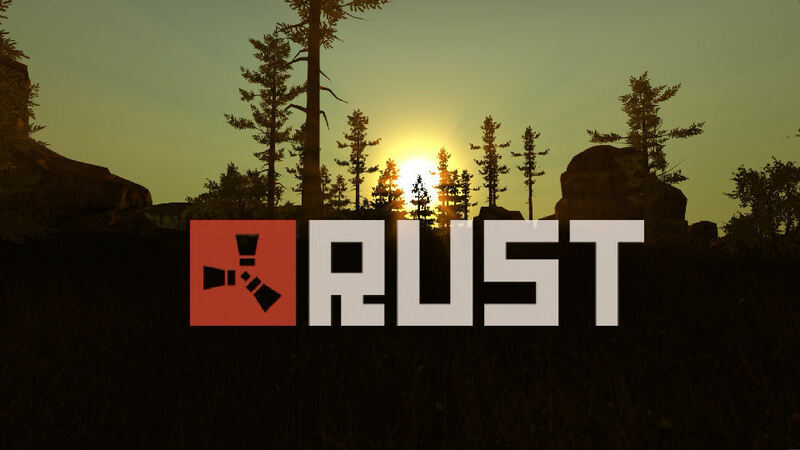 We ask if anyone is interested to get in touch with us in PlayerUnknown's Battlegrounds Division or join us as we have the games set up, we especially require streamers and content creators. This is a tremendous opportunity for TAW and hope we can get the most out of it! 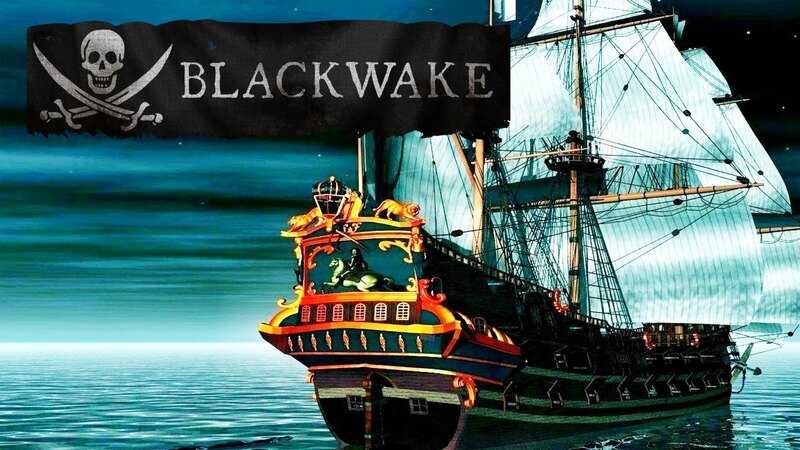 Check this game out, and after it releases if it something you would like to see in TAW fill out the INTEREST FORM. Albion Online takes you back to the roots of the MMO genre, putting competition and interaction between players first. You conquer and shape the world of Albion, and every action has consequences which can be felt throughout the world. Create your own cities and establish community and trade, then fight fierce battles over territory with rich spoils to be gained for victors. Full Player-Driven Economy – All items and buildings in Albion Online are crafted by and bartered between players. Craft the best items and decide which price to sell them to other players at. No global marketplace means savvy players can make an industry of transporting goods to different markets around the world. Expanded PvP System – Take part in massive open PvP battles and fight for the fame and honor of your guild. Don’t want to tie yourself down to anyone? Then why not become a feared, volatile mercenary, riding out into battle for others – for the right price. Classless Character Customization – Be exactly who you want to be. With no class-restricted abilities or items, you are what you wear in Albion Online. Craft any number of combinations of spells onto your gear, then mix and match to create your perfect character with hundreds of different combinations possible. Want to be a healing wizard with tank-like armor and a mace in your main hand? It makes sense! Every combination will have its strengths and weaknesses, so experiment and find your true self! Territory-based Guild Warfare – Find a loyal band of brothers and sisters and claim your patch of Albion – build your cities and camps out of over 50 different kinds of buildings and customizable skins, then wage war on your neighbors to oust them from their homes and expand your very own empire. Cross Platform & One Massive World – The first true cross-platform MMO experience. Had enough of being glued to your PC when you game? Grab your iOS or Android tablet and pick up right where you left off, experiencing all the action from your sofa. In Albion Online, all players on every device play on one master server, in one massive world. The only question is – how will you play? Well folks, it's finally here. The beginning of Division Wear. The DC's and DO's of each Division should have seen by now in the TFO Forums the information needed about getting your Division Wear gear set up. The beginning of our Division Wear is starting out with Division's name and TAW on the shirts/sweaters. One shirt and hoodie in both men's and women's has been created, but the great news is, you can actually apply your Division's Logo to any of the clothing available from our supplier, just use the "Edit this Design" Feature under the product . With the editing, you can also now add your callsign's to the clothing/items for an additional cost (Details on how to customize can be found here). When Division Wear is uploaded, I will make an announcement regarding it. To find your Division Wear, go to the TAW Shop, click on EU or NA and then using the channels on left side, choose Division Wear. Escape From Tarkov was the 1st Division to submit their request on the forums and are the "guinea pig" for logo design. There were 10 other Divisions who have submitted requests for their Division Wear. Now that we have the base template, we will be moving forward and creating the other Divisions logos. This guide is made for The Art of Warfare community and for purpose of explaining TAW members how to customize TAW SHOP products. The first step when opening TAW SHOP (NA or EU), is to find product that you like. We recommend that in this point you do not focus on colors of product or design as they can be changed. Clicking on product will open choosen product site where you will be able to get more informations about product itself. Specific product site will allow you to change product color but not and design colors. For design color please check step 2 below. To access options for changing design colors, click on “Do you want to edit the design?” bellow product image. After clicking edit option, you will get access to following view, where you will be able to select specific layer and change the color. In this view you can also again change product color or scale design. 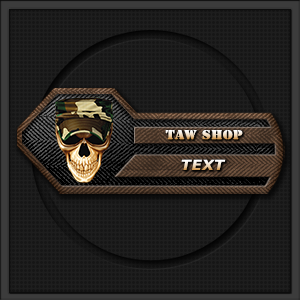 TAW SHOP also have new feature of adding text on products in design view. After clicking on “Add text” on product you will see added text box that you are free to edit. On right side you have the options for choosing font, font size and color, even “print type”. Note that text that is added need to be in accordant with The Art of Warfare Code of Ethics. Note that adding text will increase product cost. When you made your choice last thing you need to do is add the product to cart (bottom-right corner). In that moment menu for choosing product size will be shown. On end all you need to do is confirm choice. 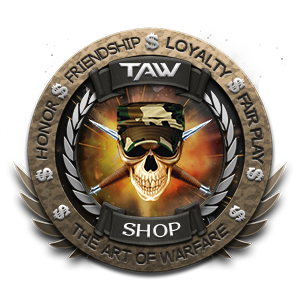 The right time to buy your new TAW apparel is anytime, but the only thing better than a new TAW Shirt, is 2 new TAW Shirts. 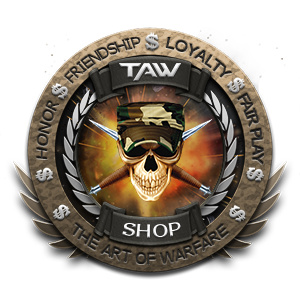 Right now, from May 15th - 21st when you buy 2 or more items from the TAW SHOP. you get 20% off your purchase. That's right, 20%. What better way to treat yourself than getting some shirts and or sweaters to wear while you strut your stuff around the interwebz, showing off how proud you are of your gaming community. When making the purchase, please use promotional code 20P517. 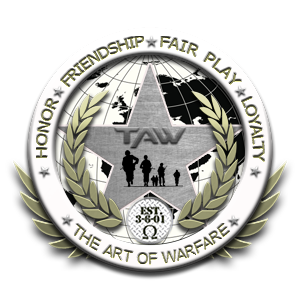 As always, please remember to email Rekon@taw.net with the Order#, yours callsign and what you purchased so you can get a TAW Swagster Tab. The Graphics Division is looking to recruit members to assist us with our design projects. avatars, signatures, and content for blogs. In addition we create backgrounds for streaming including Twitch overlays and Youtube banners for our TAW channels. We provide recruitment and tournament posters for various divisions in the TAW community. GFX Division is looking for members that can dedicate their time, self motivating, have attention to detail and are extremely dependable. We rely heavily on keeping the lines of communication open via email and TeamSpeak. Being a member of GFX Division is a place where you can learn and master your graphic abilities and a place where you can help a wide range of divisions and contribute to our community. **Requires a transfer to GFX, meaning you must leave your current division and dedicate your time to us. You can still partake in gaming but your main focus is GFX. Be able to complete projects on time. If you are after reading all this still interested in joining Graphic Division, please send us examples of your work (any kind of graphic work) and a small introduction of yourself to MARINE and Abnormalskillz ( include both of us in the same mail: MARINE@taw.net & Abnormalskillz@taw.net ). As soon as we check your examples we will contact you.